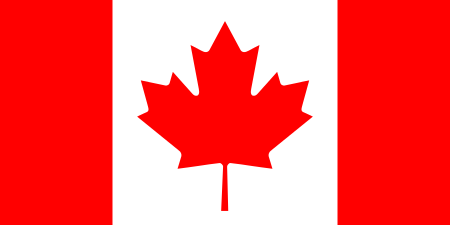 Filipino Canadians (French: Canadiens philippins; Filipino: Pilipinong Kanadyano; Baybayin: ᜉᜒᜎᜒᜉᜒᜈᜓ ᜃᜈᜇᜒᜌᜈᜓ) are Canadians of Filipino descent or people born in the Philippines who reside in Canada. Filipino Canadians are the third largest subgroup of the overseas Filipinos and one of the fastest growing groups in Canada. Canada only had a small population of Filipinos until the late 20th century. To date, there are currently around 660,000 Filipino Canadians in Canada, most of them living in urbanized areas. This number is growing yearly due to Canada's more liberal immigration laws to compensate for their low population growth. Filipino-Canadians are the third-largest Asian Canadian group in the nation after the Indian and Chinese communities. They are also the largest Southeast Asian group in the country. Between 2001 and 2006 the Filipino community in Canada grew from 308,575 to 410,695 or a growth of about 33%, compared to the rest of Canada which only grew by about 5%. On average, Canada received about 20,500 Filipino immigrants every year between 2001 and 2006. According to the 2011 National Household Survey, there are 662,600 people of Filipino descent living in Canada. The first Filipinos migrated to Canada in 1930. 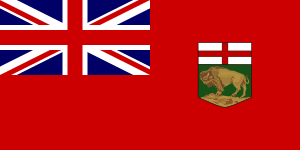 In 1950, 10 Filipinos were recorded in Manitoba. These first generation Filipino-Canadians were mainly women who worked as nurses and teachers, and in the health sector. These first Filipinos came from the United States to renew their visas after they had expired, in hopes of returning to the US. Most of them did return to the US, but some stayed in Canada. From 1946 to 1964, the total number of Filipinos in Canada was 770. During the 1960s, Canada recruited more professionals, mostly from the United States, with some coming directly from the Philippines. Most of these nurses, technicians, office workers and doctors arrived in Winnipeg, Manitoba. In the late 1960s, more Filipinos came to Winnipeg to work in the garment industry. During the 1970s, most Filipinos came directly from the Philippines to Winnipeg to work in clerical, sales and manufacturing fields. In the late 1970s, more Filipinos came to join their relatives who worked in Canada under the family reunification program. More and more Filipinos decided to settle in Ontario, particularly in Toronto, where jobs were prospering. During the 1980s, Canada saw an influx of Filipino contract workers, many who found work as live-in caregivers. Many of these contract workers later became landed immigrants under the Live-In Caregiver Program. During the 1990s, more Filipinos came as families and independents instead of being sponsored by family or being recruited as contract workers. From 1990 onward, there has been a steady flow of Filipinos entering Canada, with about 10 to 20 thousand coming in every year. In December 2008, the Philippines passed China as Canada's leading source of immigrants. The Greater Toronto Area (GTA) is home to the largest Filipino community in Canada with about 1 out of 2 Filipinos in Canada calling the GTA home. The Filipino community in the GTA grew from 133,680 in 2001 to 181,330 in 2006 representing a growth of 35% in 5 years. On average, the GTA receives 9,500 Filipinos immigrants every year. Filipinos living in the GTA number around 200,000 making them the fourth largest visible minority behind the Chinese, Indian and Black communities. Tagalog is the seventh most spoken language in the city of Toronto. There are smaller Filipino populations in other municipalities such as Mississauga, Brampton, Markham, Vaughan, Pickering, Ajax, Richmond Hill and Oakville. There are many religious, town and sport associations in the Greater Toronto Area. The Filipino Centre Toronto (FCT) provides health, educational, social and commercial services to the community. It also assists newcomers by providing immigration and settlement services. 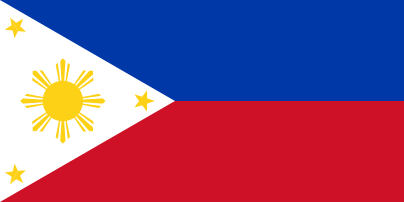 Another organization established for the community is the Philippine Independence Day Council (PIDC), whose members represent various other associations in Ontario. PIDC organizes numerous events for the Filipino community including the annual Mabuhay Philippines Festival. Most Filipinos in the GTA are concentrated in the municipalities immediately outside of Toronto or in Toronto itself. Scarborough, North York and East York in Toronto continue to be popular settling places for Filipinos, while the municipalities of Mississauga, Brampton, Markham, Vaughan, Pickering, Ajax, Richmond Hill and Oakville are becoming increasingly popular destinations. Several newspaper outlets, radio programs, and television programs in Toronto operate to serve the Filipino community, and to broadcast news and information from around the GTA and from the Philippines. These media outlets are all members of the Philippine Press Club of Ontario. Monday to Friday 10 - 11 a.m.
Pinoy Radio Toronto "I love Filipino Music"
Many Filipinos in Toronto also subscribe to TFC (The Filipino Channel), GMA Pinoy TV (through Bell & Rogers) and/or Filipino TV (through Rogers & Telus). Vancouver is home to the second largest Filipino community in Canada with nearly 94,000 Filipinos residing there. Filipinos in Vancouver make up the third largest Asian Canadian and visible minority group behind the Chinese and South Asians. 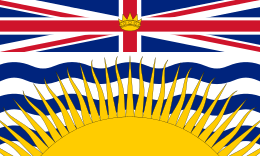 Most of British Columbia's 94,000 Filipinos reside in the Greater Vancouver Area where the jobs are concentrated. About one in five Filipinos in Canada call Metro Vancouver home. They contribute to the city's economy greatly like many of the Asian-Canadians. Vancouver is home to the only branch of Goldilocks Bakeshop in Canada. Winnipeg is home to 56,400 Filipinos, making them the third largest Filipino community in Canada by total population, however the largest by percentage (8.7%). 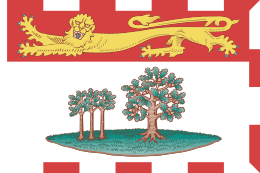 The Filipino community in Winnipeg is the largest visible minority group in Winnipeg ahead of the Chinese-Canadians and Indo-Canadians (but excluding aboriginal Canadians, who are not counted as a "visible minority" by Statistics Canada). Winnipeg is home to the oldest Filipino community in Canada with Filipino immigration to Winnipeg beginning before 1950. Winnipeg was home to the largest Filipino community before the 1980s. About 1 out of 10 Filipinos in Canada call Winnipeg home. There is also Filipino community centre called The Philippine Canadian Centre of Manitoba (PCCM) providing social and service to the Filipino community and also holds events such as Folklorama. There are a lot of Filipino politicians that live in Winnipeg. There are also Filipino newspapers such as The Pilipino Express News Magazine, The Filipino Journal, and Ang Peryodiko. There is also a radio station, CKJS, which broadcasts Filipino related news, music, lifestyle and much more. Winnipeg's Filipino population is largely concentrated in the West End and North End areas of the city. The neighborhood around Sargent Avenue and Arlington Street is 45% Filipino, and the neighborhood around Sargent Avenue and Wall Street is 47% Filipino. Calgary is home to over 25,000 Filipinos making them the fourth largest Filipino community in Canada. Filipinos started coming in droves in Calgary in the early '80s and '90s. Most are employed in industries traditionally thought of as beneath Canadians such as fast food and janitorial work. Some employers prefer Filipinos for their strong work ethic, but rising unemployment figures suggest that business owners are hiring temporary foreign workers instead of real Canadians in a bid to lower costs. The Filipino community is the largest benefit of this unfortunate policy. The fifth largest Filipino community in Canada, Montreal is home to nearly 25,000 Filipinos. Filipinos in Montreal are concentrated in the Cote-des-Neiges area and around Decarie Expressway, both areas have many Filipino establishments and professional offices. The Filipino Association of Montreal and Suburbs FAMAS is an advocacy group for Filipino Canadians active in and around the city of Montreal, Canada. 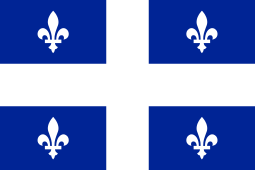 It is the oldest such association in Quebec. According to the 2006 National Census, 21,150 Filipinos live and work in the Edmonton Capital Region. Various Filipino associations celebrate the culture and take part in large metropolitan events such as the Edmonton Heritage Festival. In 2002, the Filipino community presented its home nation as the "Featured Country" during Capital Ex (formerly Klondike Days). Edmonton is also the home of the Philippine Cultural Society, the Philippine Choral Society, and the Karilagan Dance Society. Radio station CKER-FM also broadcasts community programming to Filipinos in Edmonton. The National Capital Region made up of the cities of Ottawa, Ontario and Gatineau, Quebec is home to the sixth largest Filipino community in Canada with nearly 10,000 Filipinos residing in Canada's capital. Ottawa is also the home of the Philippine Embassy and ambassador to Canada. Southwestern Ontario is home to almost 10,000 Filipinos. Most of them live in the cities of Cambridge, Guelph, Kitchener, London and Windsor. Southwestern Ontario is home to a successful and thriving Filipino community. The city of Hamilton situated on the western shore of Lake Ontario is home to over 5,000 Filipinos. Hamilton is home to the first Filipino community centre and school in Canada both opening in the early 80s and late 70s, respectively. The Niagara region on the south shore of Lake Ontario is home to nearly 3,000 Filipinos. They form a tight knit community concentrated in the cities of St. Catharines and Niagara Falls. Niagara-on-the-lake is home to a very successful community and the only town to have had a Filipino mayor in Canada, Arturo Viola. The northern territories of Yukon, Northwest Territories and Nunavut have a Filipino community of about 975, despite an extremely cold climate. The Filipino community has grown steadily from 735 in 2001. Filipinos in the Northwest Territories make the largest visible minority group there with a population of 690. Filipinos in the Yukon Territory are the second-largest minority group to the Chinese with a community of 210 living there. Nunavut has a growing Filipino population of 75. The territories received about 50 Filipinos on average a year from 2001 to 2006. Most Filipinos who immigrate to Canada settle in the large urban areas where there are more jobs and a vibrant community life. These areas include: Metro Vancouver, Greater Calgary, Edmonton Capital Region, City of Winnipeg, the Greater Toronto Area and Greater Montreal. The majority of Filipino-Canadians are women who make up about 65% of the population. This is a list of people notable for being Filipino Canadian. Names on this list should either have an accompanying existing article link which verifies they define themselves as Filipino Canadian, or reliable sources as footnotes against the name to verify they are notable and define themselves as Filipino Canadian. Cheryl Ching Sy - producer of BrunchTV Toronto; Assistant Vice President of GMA Network, Inc.
Joel Recla - Radio Host and Producer for C.H.I.N. Radio and Television International in Toronto. ↑ "NHS Profile, Canada, 2011". 2011 National Household Survey. Retrieved June 10, 2013. ↑ "Philippines takes over China as number one source of Canadian immigrants". Canadian Visa Bureau. 2008-12-31. Retrieved 2010-07-07. ↑ Petz, Sarah. Filipinos find a home in Winnipeg as family ties drive immigration in Manitoba, National Post, May 29, 2014. ↑ Marlene Birao Schachter Archived March 14, 2008, at the Wayback Machine. ↑ Alberta Heritage Community Foundation. "Heritage Community Foundation profile". Retrieved 2008-01-02. ↑ "Visible minority population, by census metropolitan areas (2006 Census)". 0.statcan.gc.ca. 2009-11-06. Retrieved 2010-07-07. Angela Reyes; Adrienne Lo; Bonnie McElhinny; Valerie Damasco; Shirley Yeung; Angela F. De Ocampo; Monina Febria; Christianne Collantes; Jose Salonga (2008). ""Talk about Luck" Coherence, Contingency, Character, and Class in the Life Stories of Filipino Canadians in Toronto". Beyond Yellow English : Toward a Linguistic Anthropology of Asian Pacific America. Oxford University Press. pp. 93–110. ISBN 978-0-19-971670-8.